If you follow me on social media, more so Twitter and Instagram, then you will probably have seen that at the end of 2014 I did a shoot with Cosmopolitan magazine, which came out officially at the end of January. Being one of the most surreal experiences of my career- which really only started about 4 months ago, I thought I would document it. Not only for fun and for you guys, but so I can look back on my blog posts at the end of the year and remember what I have achieved throughout the year as well. Ever since primary school, I have had a love for English and writing and it has only got bigger the older I get. I think I was the only person at University who actually enjoyed writing essays and my dissertation. (Minus the sheer stress I got from putting too much pressure on myself but thats a whole other blog post.) For years I have continually stalked Cosmo’s beauty section, and followed all the beauty editors on every social media platform I could, just dreaming that it was my name at the end of the beauty articles. 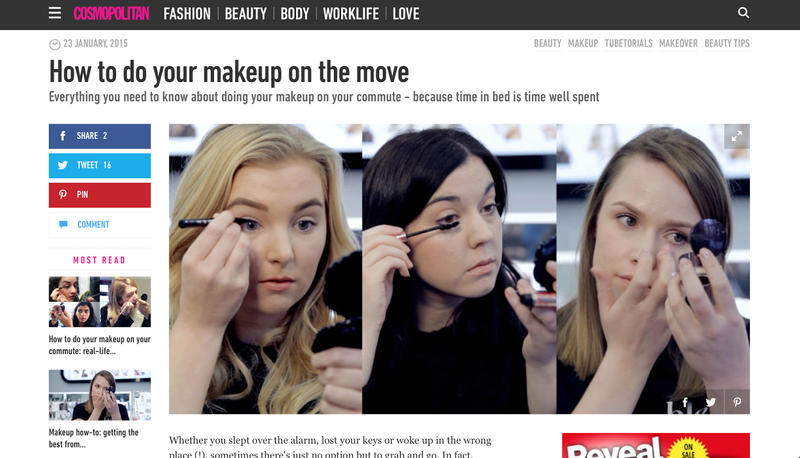 From then on all I have wanted to do, alongside being a makeup artist, is to write for the Cosmopolitan beauty team. 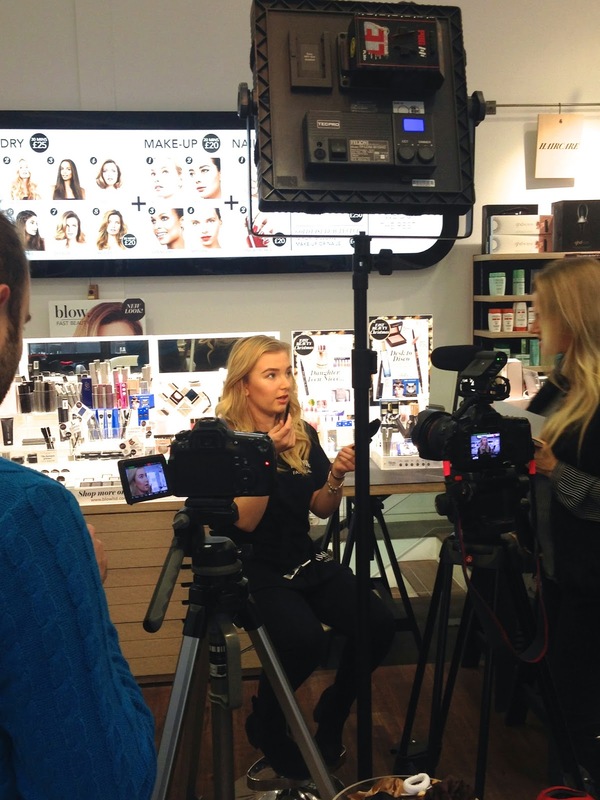 So you can imagine my excitement when the opportunity came up to meet and work with Kate, Cosmo’s genius beauty editor as a professional makeup artist, on a shoot where makeup was the sole focus, it was just an opportunity I could not pass up! 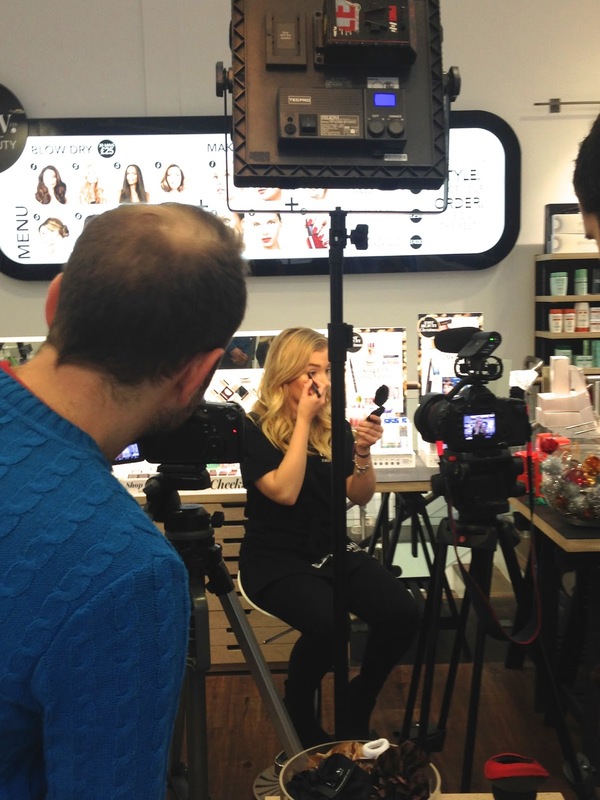 For those of you that don’t know, I work for Blow ltd as a makeup artist in London. The shoot that I did was in collaboration with Blow ltd, and I was lucky enough to get picked to work this shoot with a few of my colleagues. 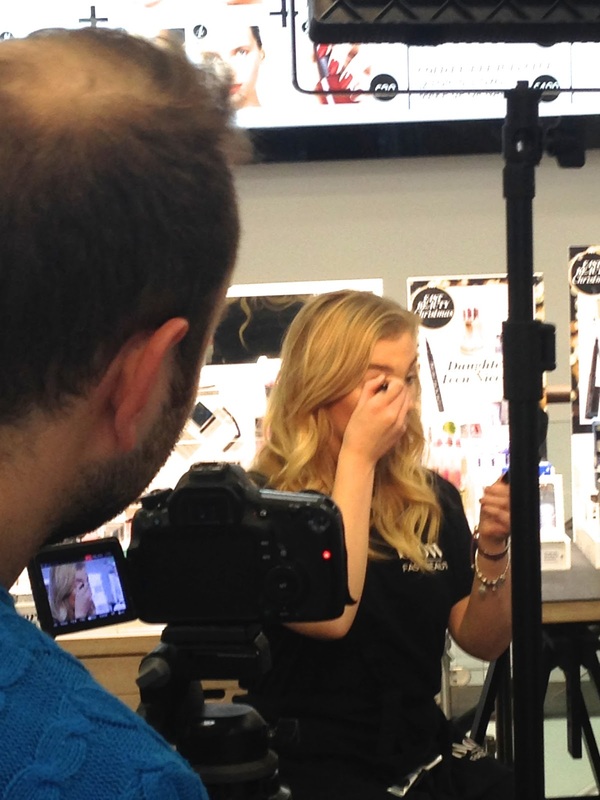 In the shoot, I was required to show you step by step how to apply winged eyeliner on the tube, using only one hand. The other two girls, Francesca and Celia also show you in the following two videos how to achieve a full face of makeup with as little products as possible, and which products you can find and use as great multi-taskers, so you haven't got to carry around a heavy/full makeup bag on the go. I could go on and on about it but I thought instead I will just share with you some of the photos from shoot day, and the final video that was released on Cosmopolitan UK. I hope you enjoy it and manage to get some tips! P.s I really would recommend that eyeliner. It's magical. You can shop the products used in this video directly at www.blowltd.com where you will also find all your favourite brands such as Anastasia Beverly Hills, REN, Emma Hardie and Laura Mercier.